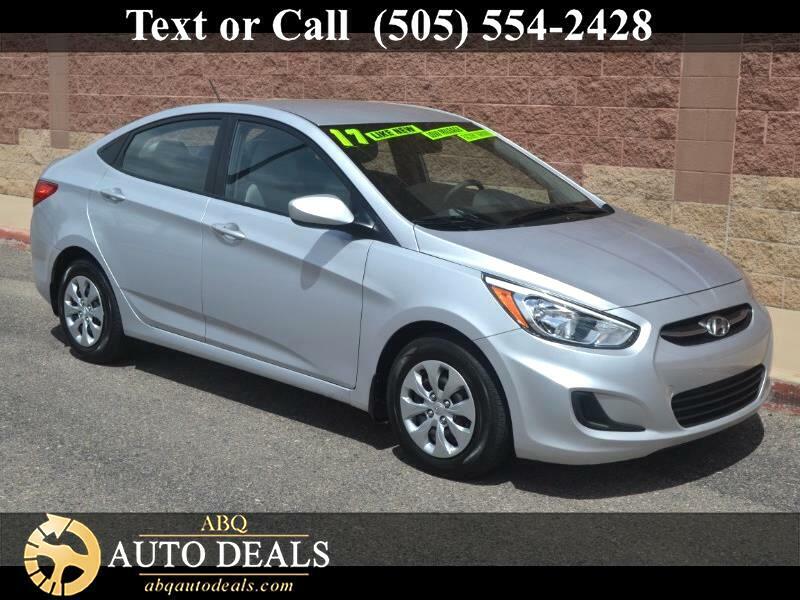 Seize the day behind the wheel of our One Owner, Accident Free 2017 Hyundai Accent SE Sedan that turns heads in Ironman Silver! Powered by a 1.6 Liter 4 Cylinder that offers 137hp while connected to a 6 Speed Automatic transmission for easy passing. This Front Wheel Drive feels nimble and eager to please while providing a comfortable, composed ride and near 38mpg on the highway. Our Accent SE is graceful and displays a sense of classic charm. Open the door to our Accent SE and find a well thought out interior that is surprisingly spacious. Designed with your needs in mind, it features a supportive 6-way adjustable driver seat, 60/40 split-folding rear seat back, easy to read gauges, air conditioning, power accessories, a tinted windshield, and a driver seat armrest. Everything you need is correctly in place for a pleasurable ride, so crank up the AM/FM/CD/MP3 audio system with available Sirius radio and get going! Our Hyundai offers stability/traction control, advanced airbags, a tire pressure monitoring system, and other safety features that provide peace of mind. Serving up refined style, safety, and excellent efficiency, our Hyundai Accent SE is the intelligent choice for your demanding lifestyle! Print this page and call us Now... We Know You Will Enjoy Your Test Drive Towards Ownership! Your buying experience with ABQ Auto Deals is our number one priority.